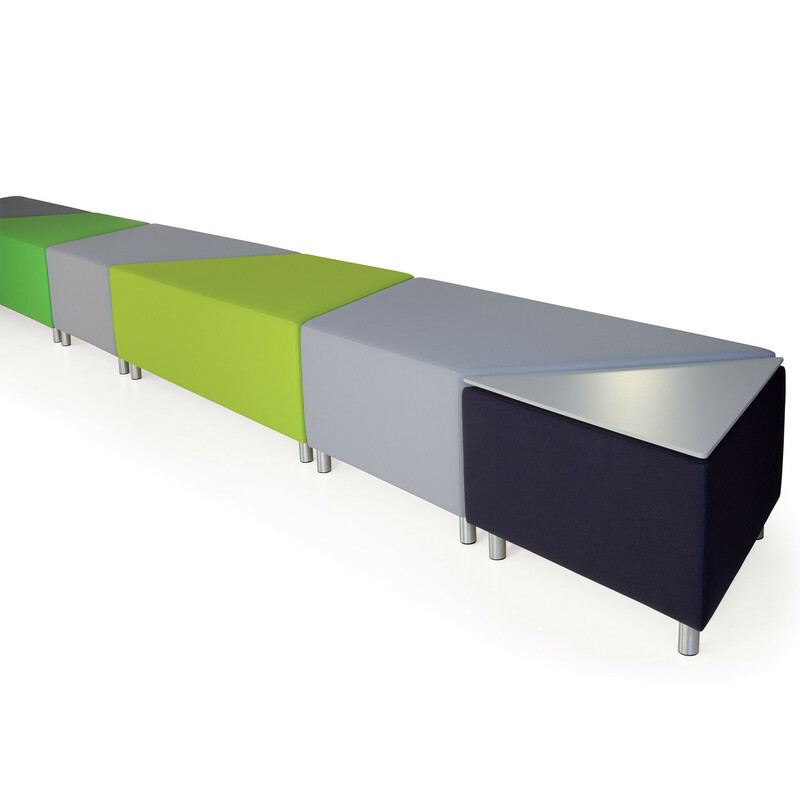 HM42 Bench is a modern and flexible soft seating solution for public areas, short-stay waiting spaces and galleries which can be arranged and linked in endless permutations. 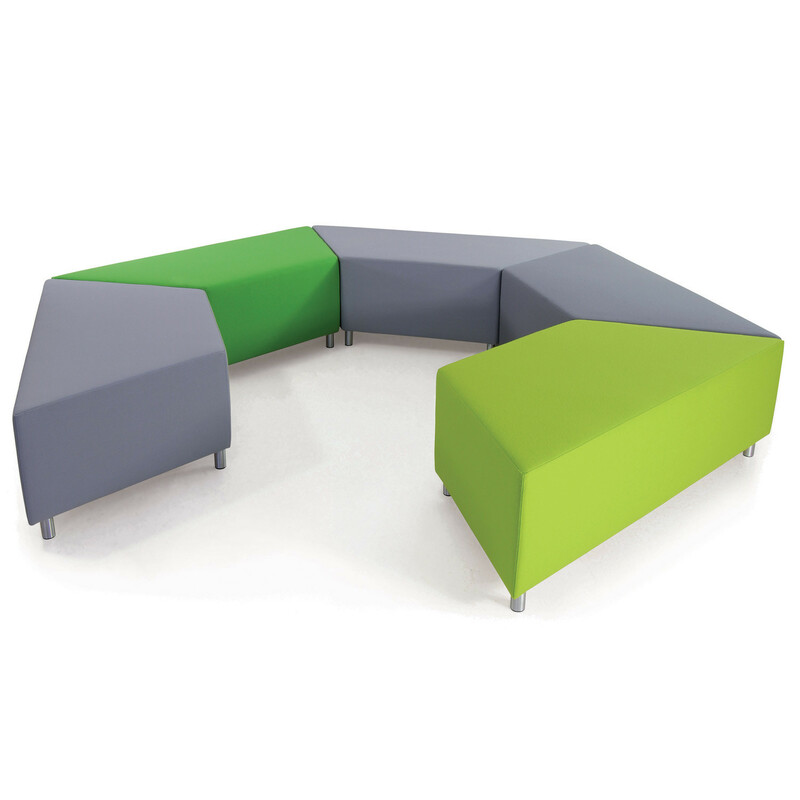 The HM42 Seating system has a contemporary design, a generously proportioned bench system based on the plan-form of a half hexagon. 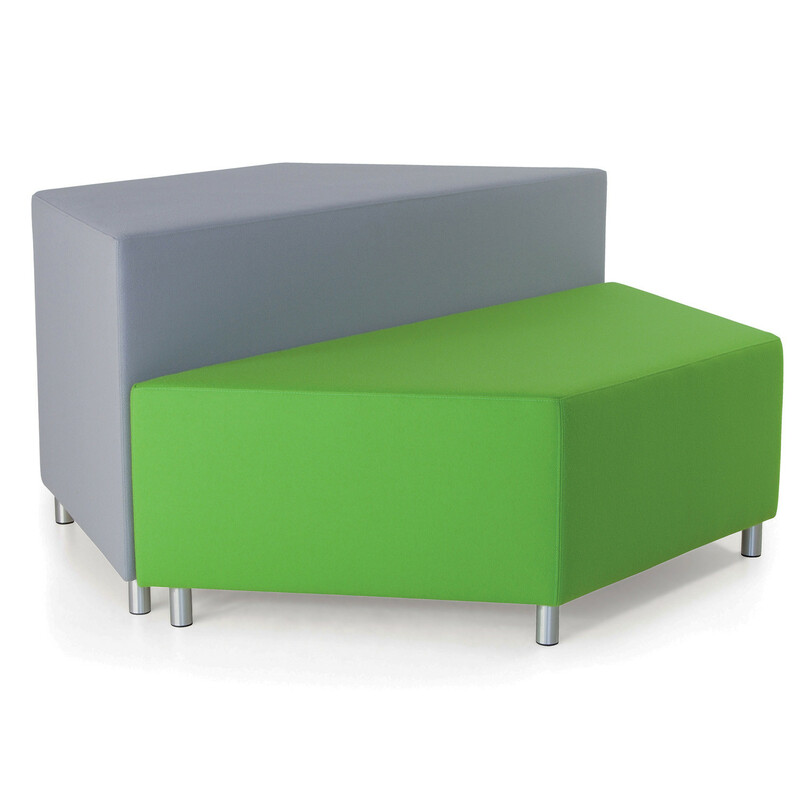 This design offers two alternative heights (440 and 690mm) enabling 'perching' as well as seating, and the high unit also provides a back or armrest for the lower piece. 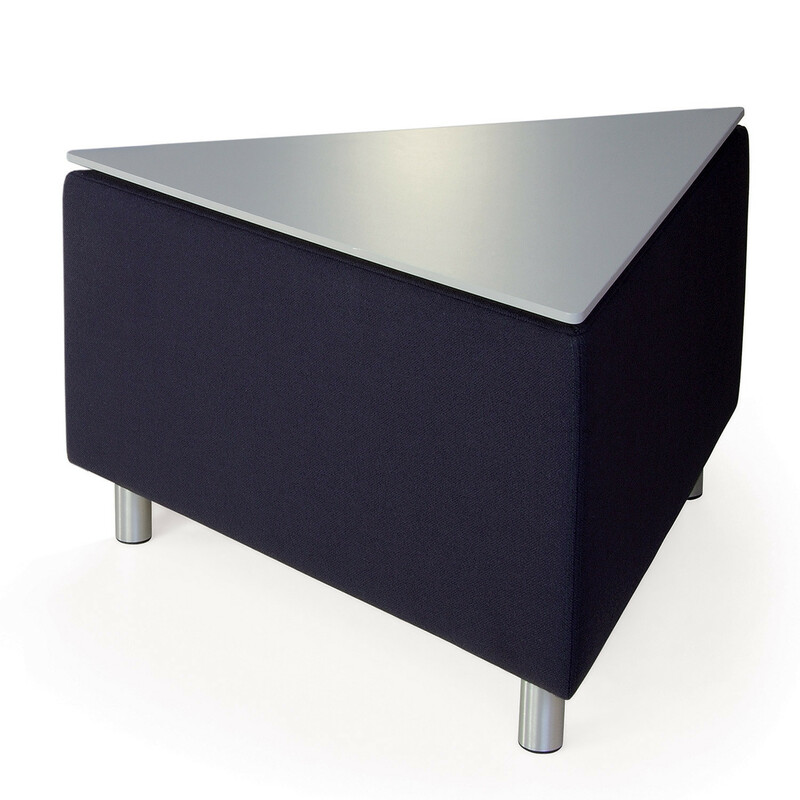 Upholstery is of graded cmhr foams and the units can be covered in a wide choice of fabrics and hides, there is a possibility of completing it with the plate grey laminate finished HM42c table. You are requesting a price for the "HM42 Bench"
To create a new project and add "HM42 Bench" to it please click the button below. To add "HM42 Bench" to an existing project please select below.